– Transitioning from disability benefits to retirement benefits. – Dependent disabled children benefits (especially after the death of the parent). – Explicit analysis of Restricted Option. Earlier it was part of automatic maximization only. – Maximization when one of the spouses is already taking benefits. 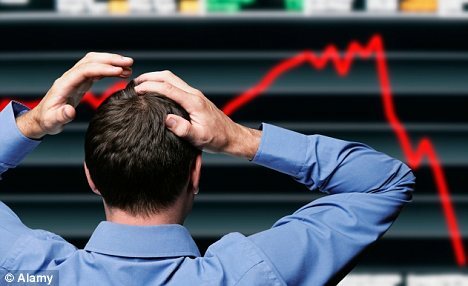 Volatile market, jittery clients, what to do? U.S. Equities market has been very volatile lately. The S&P 500, a barometer for the large cap market hit an intraday low of 1,823 yesterday, down from a high of 2,011 on September 18. This represents a sharp drop of over 9% in less than a month. Obviously, this makes many clients jittery. Being a financial advisor isn’t easy during such times. Although most clients know that markets can fluctuate significantly, yet during such times many of them look to their advisors for comfort. Here are a few ways to not only calm existing clients but to also get new clients. First, let’s discuss some true and tried approaches. Historical behavior of equity markets is a good start. Explain the historical trends behind market volatility and long-term benefits of staying invested during such timings. Imagine how a client would have fared if he decided to pull-out of equity markets in March of 2009 when S&P 500 had gone below 700. If he had stayed away from equity markets he would have missed an epic bull market. This is also an opportunity to reallocate client portfolios. If you are a money manager, you could help clients to get additional return by simply moving some money from cash to an equity portfolio. Buy low, sell high is the holy grail of investment that’s seldom practiced. However, with a bit of disciplined approach you can help clients follow it. Macroeconomic factors are also important to consider. The U.S. economy is in fairly good health. We have a low inflation rate, historically low interest rates, lower oil prices, and economy is still generating a good number of jobs. For the month of September, the U.S. economy added 248,000 non-farm payroll jobs. The unemployment rate has gone down to 5.9%. This was the first time it ticked below 6% since the financial crisis of 2008 plunged the economy into recession. Agreed, unemployment rate is a lagging indicator. But given that we don’t have a major economic crisis, these fundamentals aren’t going to change overnight. Consider drawing your clients’ attention to this big picture. Financial advisors can also use other ways to better engage clients. For clients approaching retirement, Social Security planning is an important element of their retirement picture. Consider creating Social Security plans with maximized benefits. For other clients, reviewing financial goals and ensuring that the investment plan is aligned with long-term goals and objectives would be useful. A problem is also an opportunity. If you’re interested in growing your book of business, this may be a good time to reach out to prospective clients. Perhaps prospective clients are more worried than your existing clients. You can offer them a complimentary financial checkup and educate them on market cycles. If you’re interested in growing your client base in 55+ market, Social Security and healthcare expenses are hot topics. Consider running an educational event on these topics. The current turmoil in market is not going to stay forever. Make a good use of this opportunity. Hopefully, you will find these tips useful to help your clients and to help yourself. Resources available from GoWealthPro Corp.
1. FREE Social Security Maximizer™ for advanced Social Security Planning. 2. Personal Financial Index® for a quick financial health checkup and holistic financial health score. Use promo code WP201410 to claim a limited time 20% discount on Wealth Planner™ for intuitive and efficient financial planning. Use promo code REHP201410 to claim a limited time 20% discount on Retiree Healthcare Planner™ for personalized and location based healthcare expense planning during retirement. Use promo code ERP201410 to claim a limited time 20% discount on Retiree Healthcare Planner™ for custom retirement plans for plan participants and income replacement scorecard for plan sponsors. 3. Social Security Maximizer™ tool for advisers to develop advanced Social Security plans for clients. Do we have to subscribe to one or more of your paid products in order to use this tool for free?